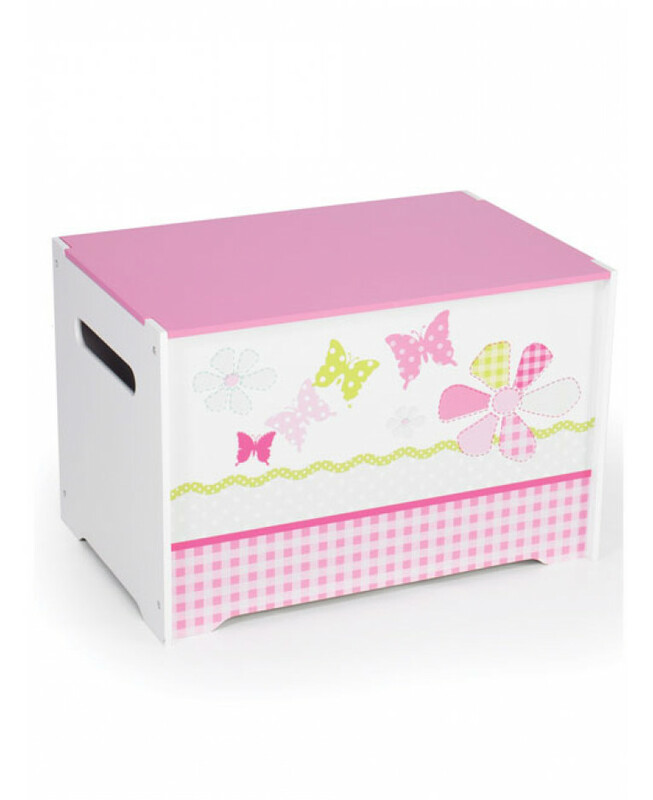 This sturdy Pink Patchwork Toy Box is ideal for keeping toys, games, books and clothing neatly tidied away. 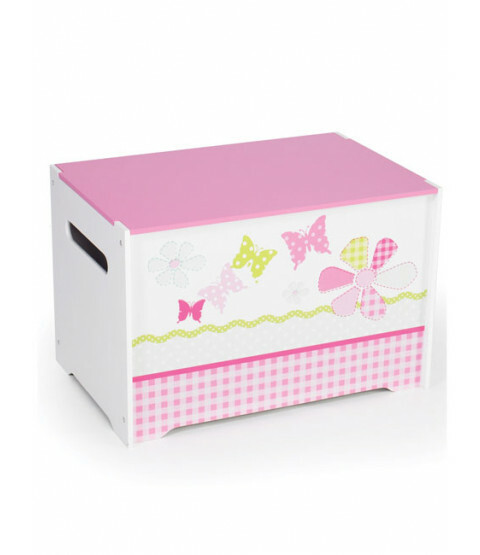 The design features cute patchwork butterflies and flowers making it a stylish yet practical piece of furniture. 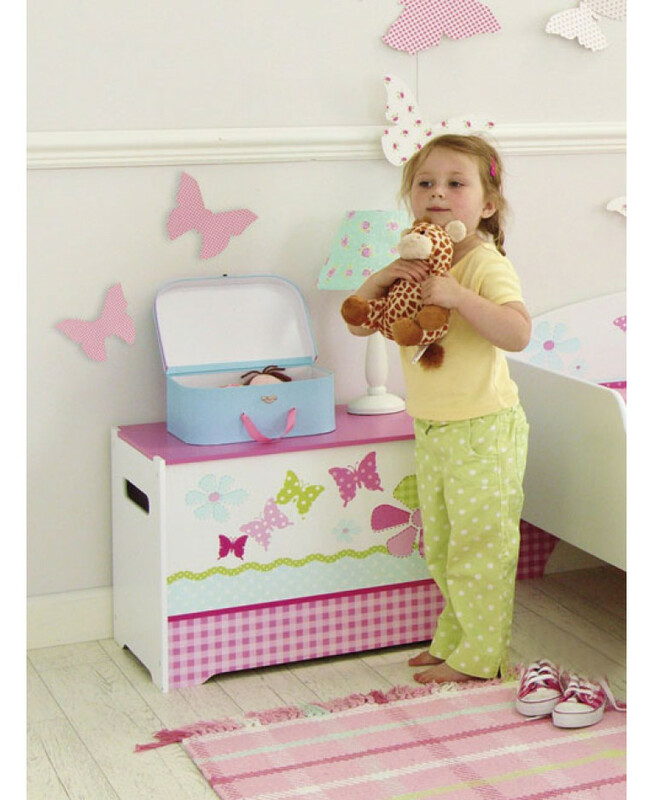 Made from strong MDF, it can be easily constructed using the quick and simple t-bolt assembly system.